NICE DEVELOPMENT OF FOX ESTATES. Pick your prime parcel, on or off the water! This is just over an acre lot and the development is only one mile from Victorian West Branch and easily accessible to I-75. Subdivision amenities include municipal water, municipal sewer, natural gas, high speed internet, cable TV, paved and county maintained roads. 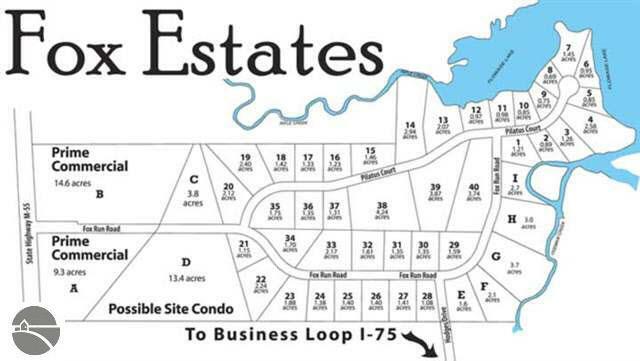 An excellent location to build your new dream home or summer/weekend getaway. Also not too far from many inland lakes for the water enthusiast and acres of State land for the hunter or trails for your ORV and snowmobiles. You will also find this property is only miles from the beautiful Rifle River for great fishing, kayaking and canoeing. Additional lots of varying sizes, both on and off Flowage Lake and Ogemaw Creek, are available.